Pachomius was the first monastic to call upon other Christians and monastics to live in community with each other and share all of their possessions. 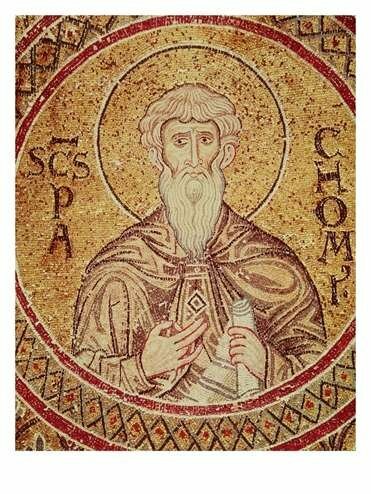 Though it must have been slow at first, Pachomius' community grew quickly and was soon filled with monastics who were devoting their lives one to another and joining together as one Body to serve their one Lord.Pachomius wrote a guide for how a monastic should best live the life of prayer and service within the community. This became known as the rule of the monastery and it maintained the social cohesion of the people gathered together. 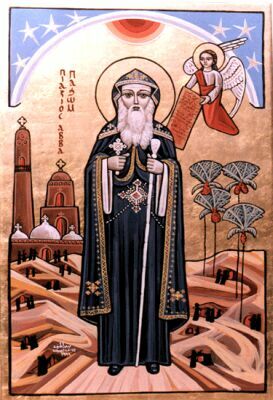 The monastics began calling Pachomius "abba" (father) and this became more of a title than a moniker after some time.This is where we get the word abbot for the spiritual overseer of a Christian community. Soon the monasteries were expanding throughout Egypt. As each one filled up, they would send out a small group of missionary monks to travel and establish another monastery with another abbot or abbess. When Pachomius died in the year 348, there were nearly 3,000 monasteries throughout Egypt.Over the next generation it continued to spread and left Egypt until it numbered nearly 7,000 monasteries.